You’re excited to own your home, but often wonder what pet friendly flooring options exist because pets are family. We understand – although your floor may not. In the wild, dogs are territorial creatures. Just because you’ve allowed one to come into your home as a pet does, this primal instinct won’t disappear. This ability to ‘mark’ areas they’re staking claim to, wreaks havoc on flooring, with no surface being exempt from canine markings. Cats leave dander everywhere they go – regardless how well they’re groomed or how short-haired they are. 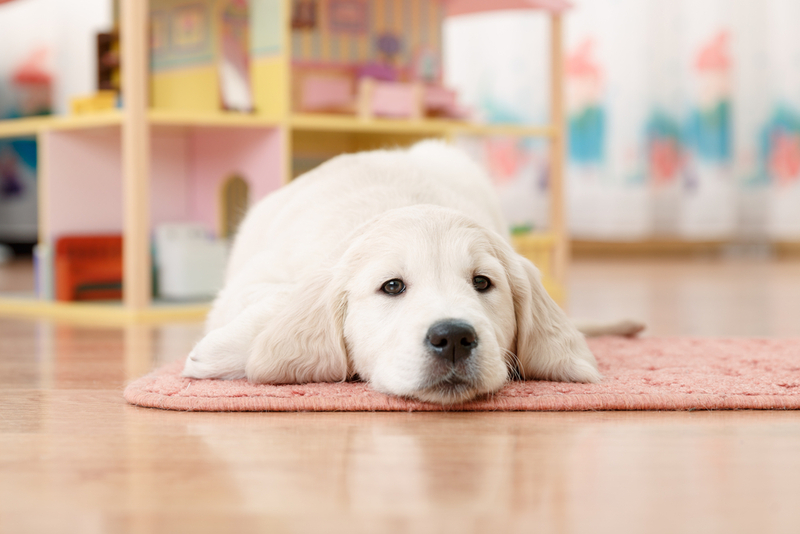 We examine three types of flooring (laminate, hardwood and carpet) to see how three common flooring options fare against playful pets. The more expensive option we’re listing, hardwood floor ‘cures’ with time. This means once laying down natural hardwood (not engineered) floors, one can expect an ‘aged’ look after several years. Both beautiful and durable, hardwood like bamboo, mahogany and oak do well to increase interior beauty, and home values. Carpet flooring is comfortable, durable and helps maintain warmth during cold months. When paired with padding, the thickness of carpeting allows the décor within your home to come to life, not to mention make your feet, feel much better after working exhaustive hours. Berber, level loop, frieze and plush are just some carpeting options that homeowners opt for. With different looks, stain fighting capabilities and methods to keep looking nearly new, carpet is more affordable than wood floors yet could help your pets feel ‘too much at home’. Some pros and cons related to carpeted floors could help determine if this floor would work for you. For those looking for affordable yet durable pet friendly flooring options for pets, laminate flooring sits directly between the above. Laminates are affordable, easy to maintain, have just enough thickness to keep floors warm or cool, and can provide natural looking interiors with growing options rolled out weekly in the flooring industry. Looking for new flooring or upgrading existing floors? Check out the many great options laminate offers, including the ability to keep pets controlled (at least their messes and shedding fur). Many great pet friendly flooring options exist, yet these three all have significantly less cost than travertine, clay or marble tiling. 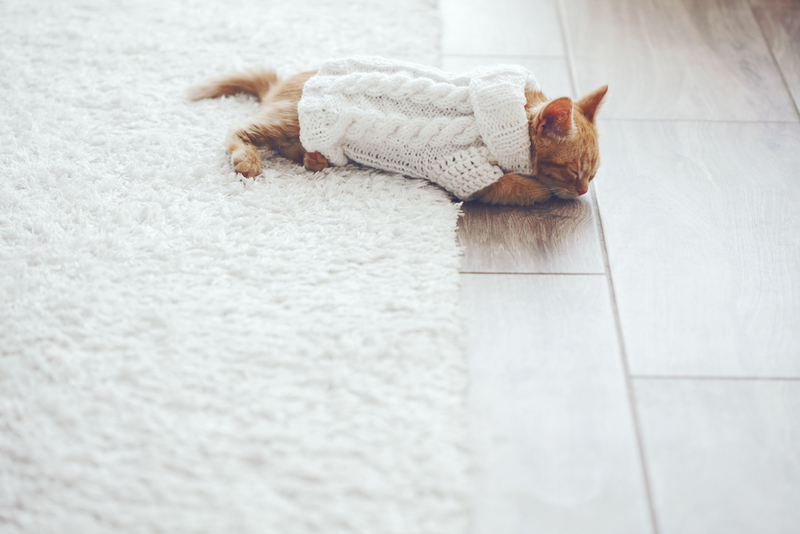 It’s important to know your pet’s habits and train them properly before committing to expensive floor upgrades; when you do upgrade, choose flooring that fits your cleaning style, and how playful (or furry) your pets are.